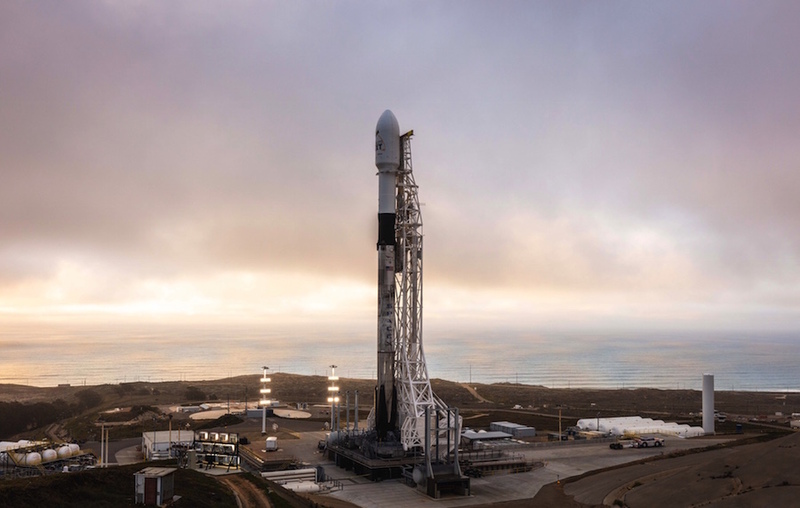 SpaceX is targeting Friday, January 11 for the launch of 10 Iridium NEXT satellites from Space Launch Complex 4E (SLC-4E) at Vandenberg Air Force Base in California. 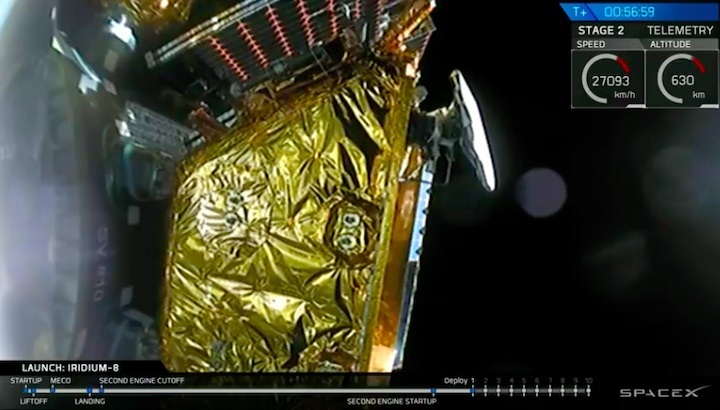 This is the eighth and final set of satellites in a series of 75 total satellites that SpaceX will launch for Iridium’s next generation global satellite constellation, Iridium NEXT. 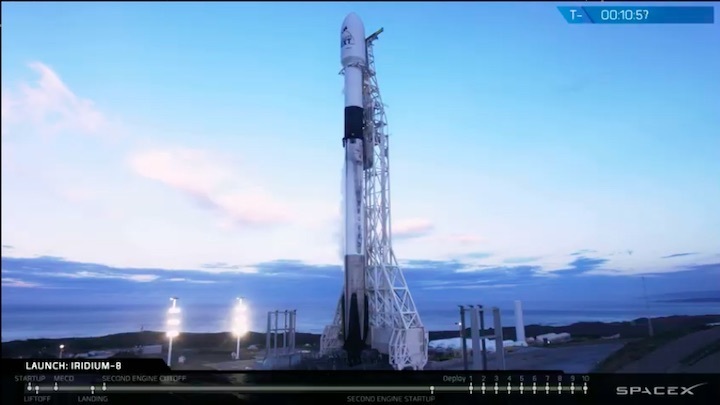 The instantaneous launch opportunity is at 7:31 a.m. PST, or 15:31 UTC, and the satellites will begin deployment approximately an hour after launch. 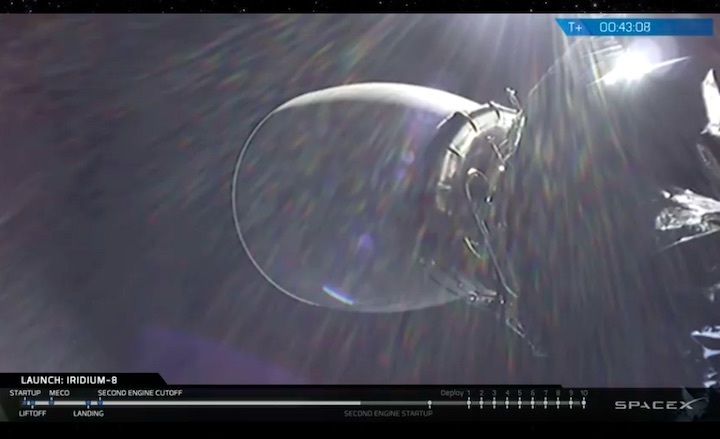 Falcon 9’s first stage for the Iridium-8 mission previously supported the Telstar 18 VANTAGE mission in September 2018. 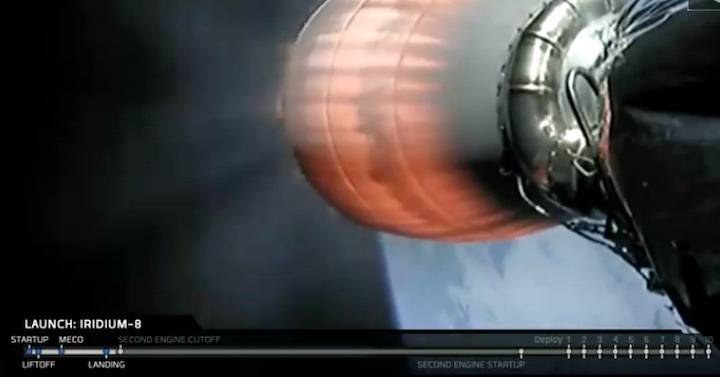 Following stage separation, SpaceX will attempt to land Falcon 9’s first stage on the “Just Read the Instructions” droneship, which will be stationed in the Pacific Ocean. 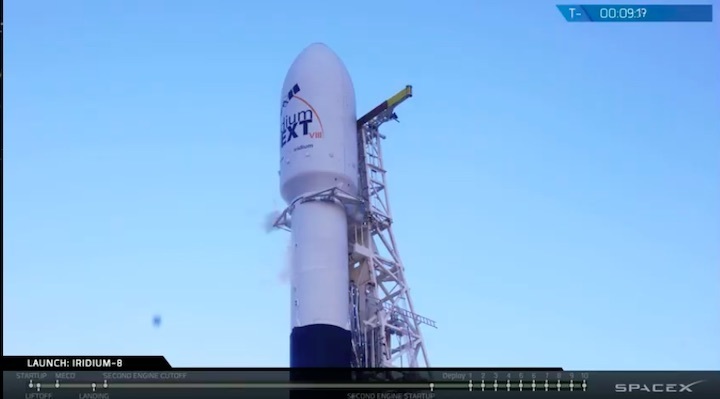 You can watch the launch webcast live below and find out more about the mission in our press kit. 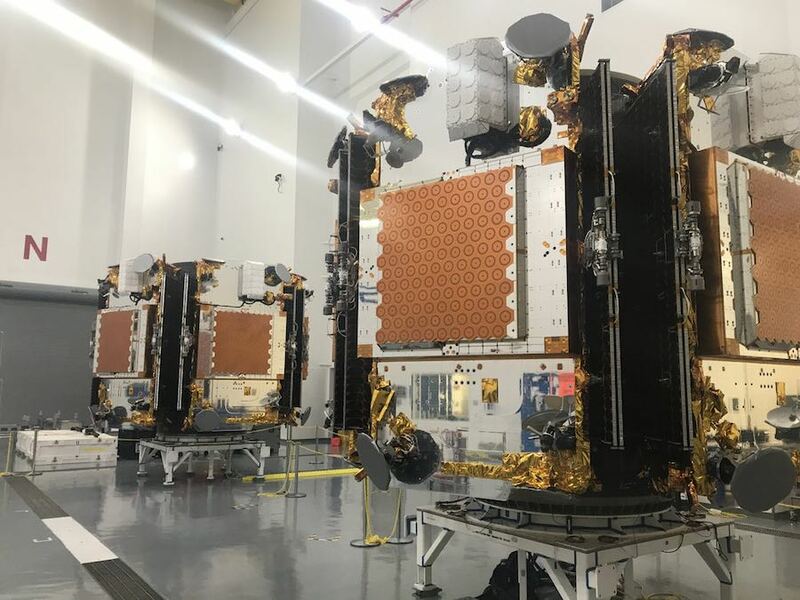 With Friday’s launch, SpaceX and Iridium will have teamed up for the launch of 75 payloads on eight Falcon 9 flights since January 2017, giving Iridium a full complement new spacecraft to fully replace and upgrade its aging voice and data relay network. 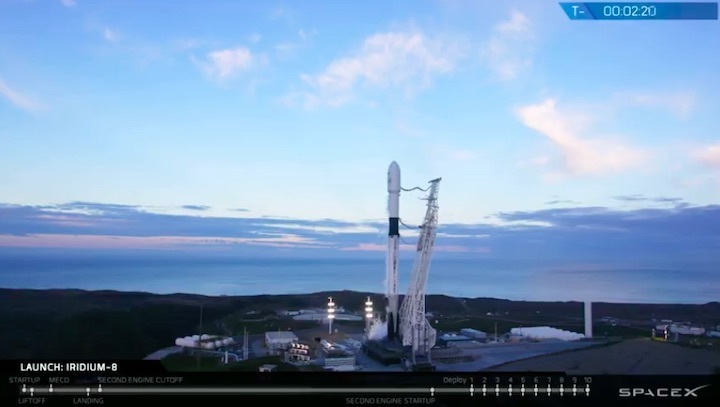 The 229-foot-tall (70-meter) Falcon 9 rocket, powered by a reused first stage booster that previously flew in September from Cape Canaveral, is set for liftoff at 7:31:33 a.m. PST (10:31:33 a.m. EST; 1531:33 GMT) Friday from Vandenberg Air Force Base, California. 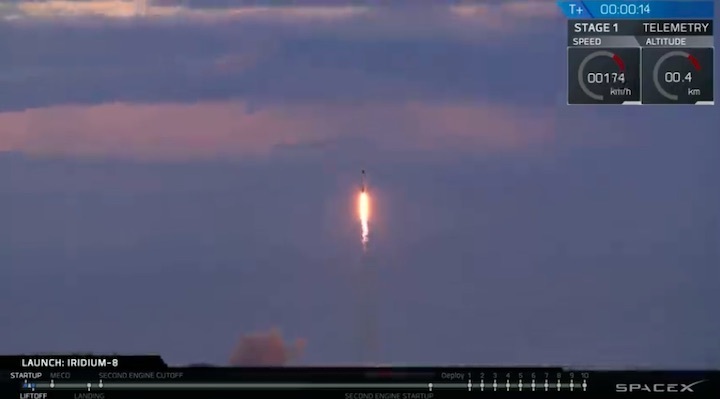 The two-stage rocket will deploy the 10 satellites — built in partnership by Thales Alenia Space and Northrop Grumman Innovations Systems — one at a time over a 15-minute period approximately an hour after liftoff. 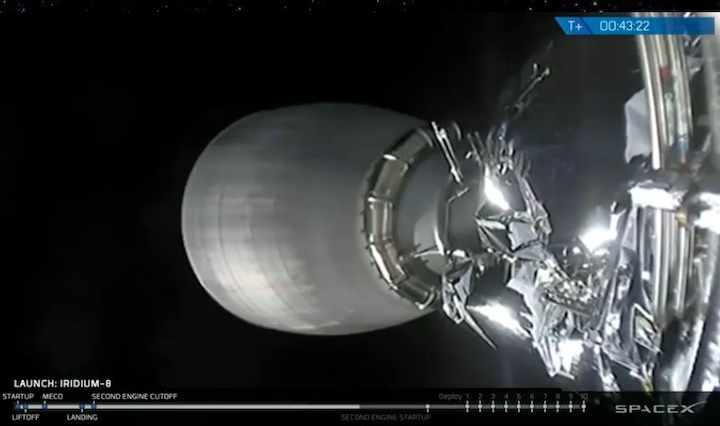 SpaceX plans to land the Falcon 9’s first stage again after Friday’s launch on a drone ship positioned the Pacific Ocean a few hundred miles south of Vandenberg. The launch company’s net-fitted payload fairing retrieval ship, Mr. Steven, is not expected to attempt to catch the Falcon 9’s nose shroud Friday. 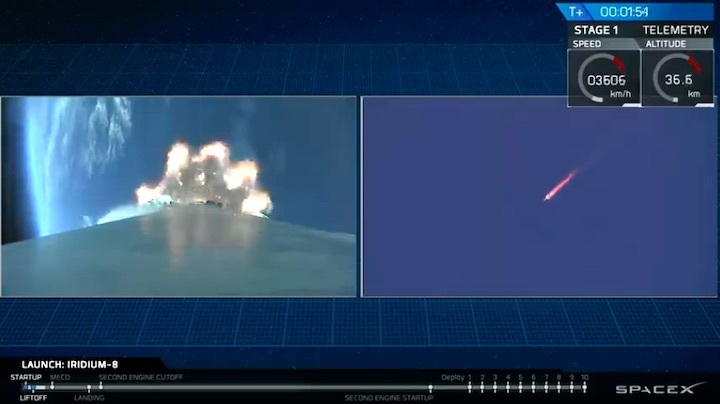 Iridium already has 65 new-generation “Iridium Next” satellites in orbit, and all are “happy and healthy,” Desch said. 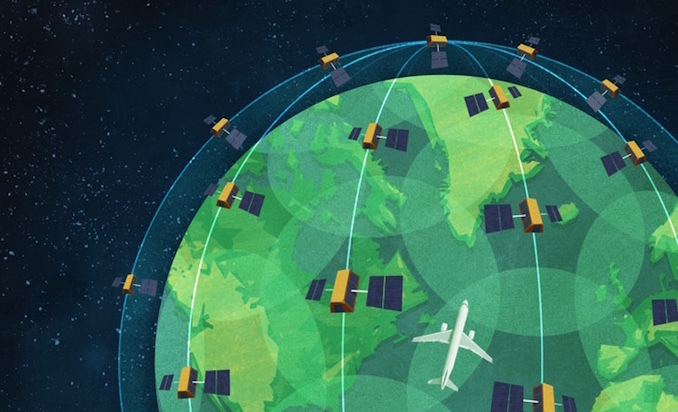 The company’s communications network operates on 66 active satellites spread among six orbital planes, plus spares, with inter-satellite radio links to relay voice and data traffic without connecting through ground stations on Earth. Iridium’s first-generation “Block 1” satellites, built by Lockheed Martin, launched from 1997 through 2002 and were designed for seven-year missions. 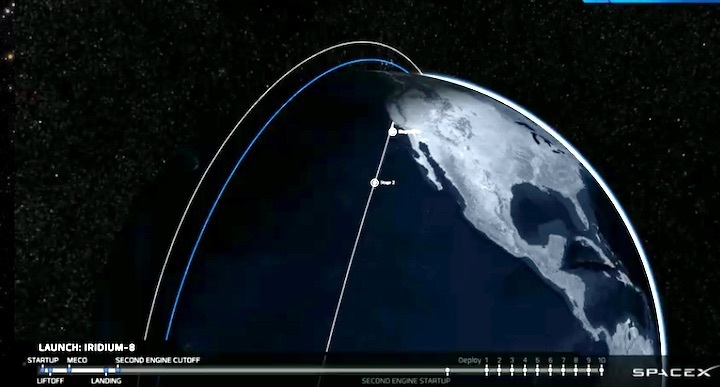 The bulk of the fleet far outlived that lifetime projection, and the new satellites have a double mission as replacements for the company’s aging and outdated 1990s-era constellation, and as vehicles to introduce new services to expand beyond Iridium’s bread-and-butter telephone and message relay functions. 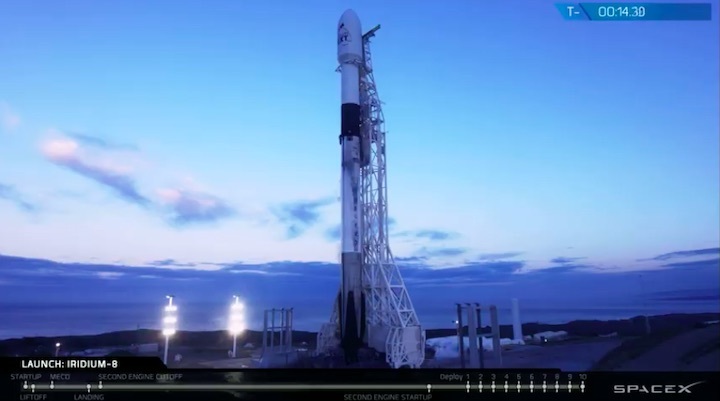 The satellites set for launch Friday will head into Plane 3 of the Iridium fleet, and the liftoff is timed to the second with an instantaneous launch window to precisely place the payloads in the correct orbit. 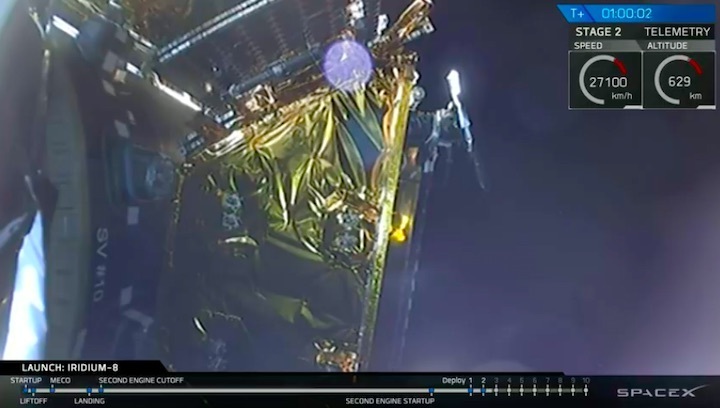 One of the new Iridium services, named Iridium Certus, will permit customers to transmit and receive higher-bandwidth messages, including high-definition video and Internet connections. 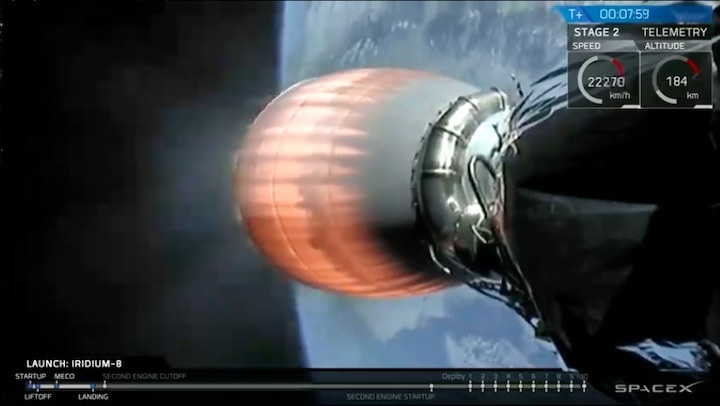 Designed for ships, airplanes and other users on-the-go, Iridium Certus will provide Iridium customers with up to 1.4 megabits per second of L-band connectivity, up from 128 kilobits per second available with the previous generation of satellites. 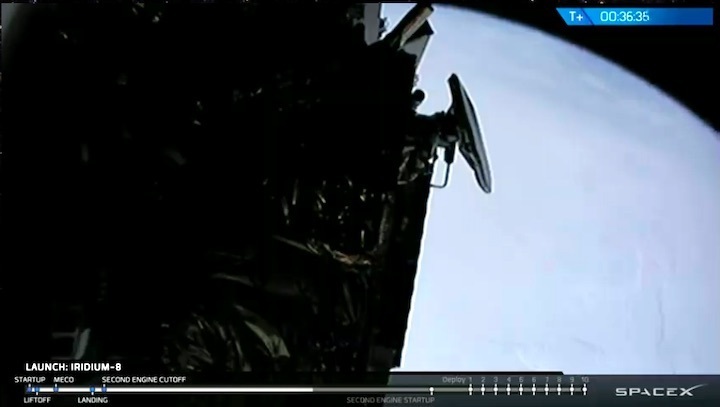 Each Iridium Next satellite also hosts a host radio receiver for Aireon, an affiliate of Iridium established in partnership with air traffic control authorities in Europe and Canada. The Aireon instrumentation will track air traffic worldwide, including planes traveling outside the range of conventional ground-based radars. 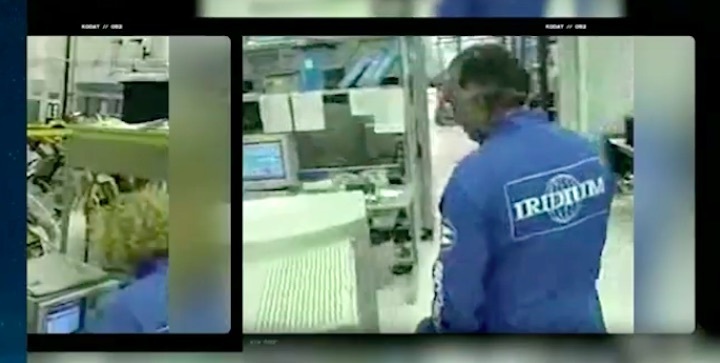 “We broke ground on Iridium Next back in 2007, and we got started in earnest in about 2010. There was a lot of excitement when our first launch finally occurred two years ago on Jan. 14, 2017, which was amazing and very important. 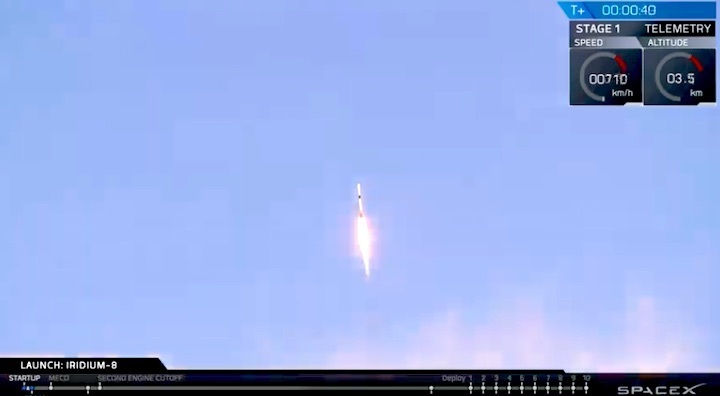 But our final launch… is by far the most important milestone of all.” Desch said. Originally backed by Motorola, Iridium was a pioneer in the space and communications industries, fielding the first commercial satellite fleet of its size in orbit. But Iridium declared bankruptcy soon after launching its initial batch of satellites. 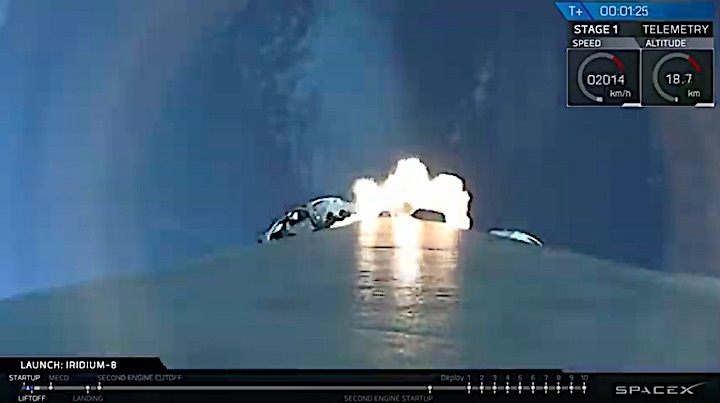 A new company formed to take over Iridium’s assets, including the satellites already in space, with a new business strategy after high prices and weak demand doomed the original Iridium concept. Iridium now counts more than a million subscribers on its client list, and the U.S. Defense Department is one of the company’s core customers, along with aviation and maritime operators, ground transportation providers, and users in the mining, forestry and oil and gas industries. “What’s next after Iridium Next? That answer is a lot,” Desch said. 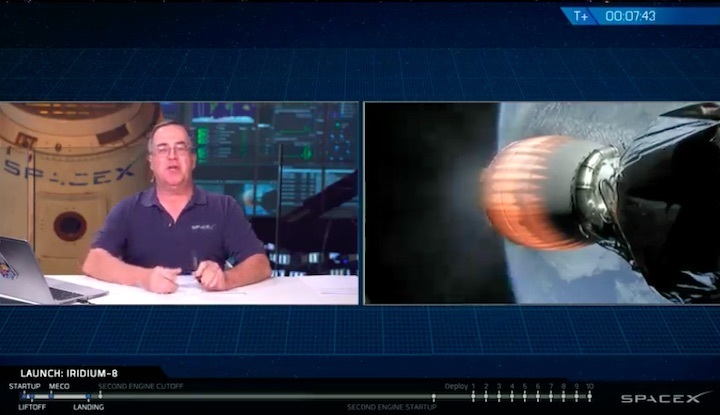 “The first new service we’ll be introducing is our special L-band broadband service branded as Iridium Certus. The name Certus is actually Latin, and it means reliable, determined, sure and certain, all adjectives we believe well-define Iridium and our new unique broadband service. Desch said the Iridium Certus offering will provide “safety-of-life” broadband connectivity for maritime crews and pilots. In a conference call with reporters last week, he suggested Iridium’s new L-band broadband service will not compete with high-throughput geostationary satellites and planned “mega-constellations” of hundreds or thousands of low Earth orbit spacecraft in Ka-band and Ku-band, which are aimed at the individual consumer market. Internet of Things is an industry term for when a type of network that relays data, measurements and other signals between numerous objects around the world, everything from remote weather buoys to critical shipments traveling by road, sea, or air. In its favor, L-band communications typically require a smaller ground receiver than Ku- or Ka-band, and L-band is less susceptible to interference from rain, fog and storms, making it ideal for critical services. But Ku- and Ka-band offer higher bandwidth than L-band. 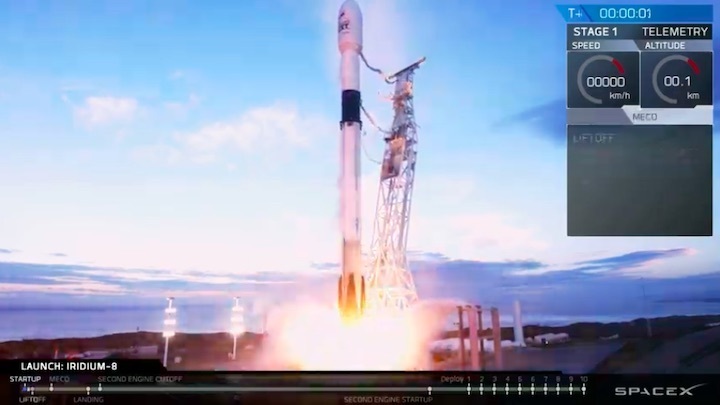 “In aviation applications, Iridium Certus will be in the cockpit providing operational and safety communications at optimal levels, while Ka- and Ku-band will be in the cabin for everyone to use the WiFi for entertainment services,” Desch said. 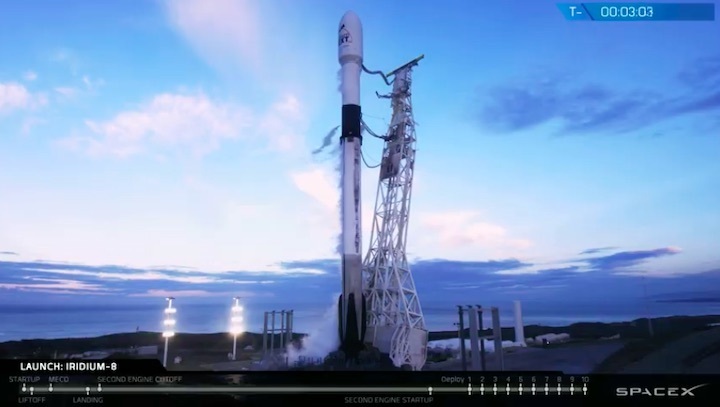 Like SpaceX’s previous launches for Iridium, the Falcon 9 rocket is programmed to place the new satellites Friday into a polar orbit around 388 miles (625 kilometers) above Earth. The other four satellites launching Friday are destined to be spares in the Iridium fleet. 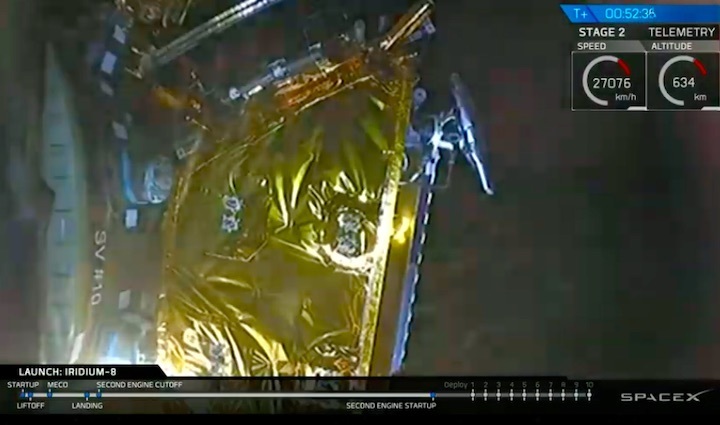 “This will bring the total number of new Iridium satellites in orbit to 75, and after a thorough testing and validation process lasting several weeks, we will officially complete our new constellation,” Desch said. 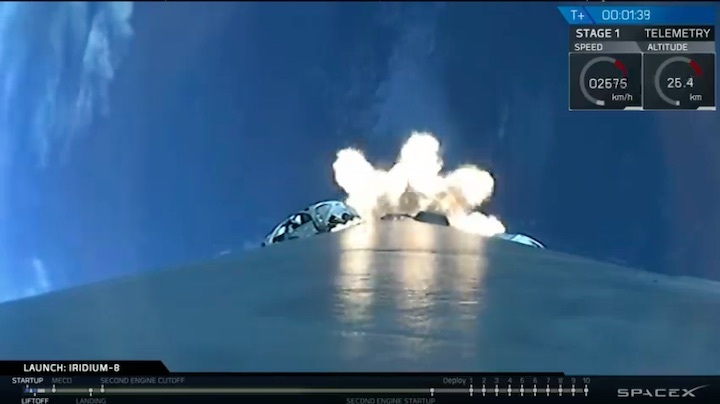 Iridium ordered 81 Iridium Next satellites from the Thales Alenia Space/Northrop Grumman team. 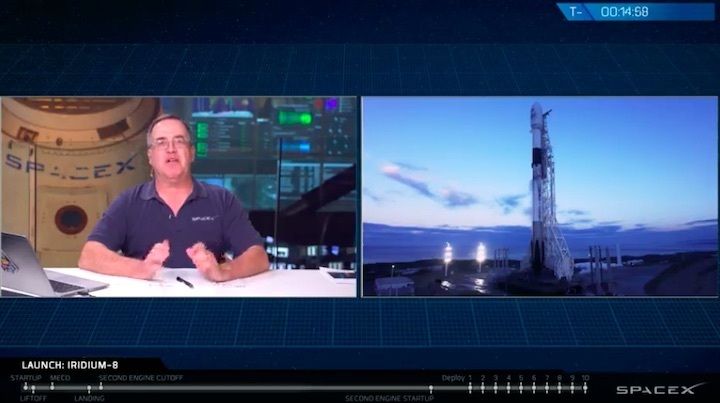 Desch said the remaining six satellites not yet launched will remain in a flight-ready state on the ground, and could be launched in the coming years to replenish the constellation. 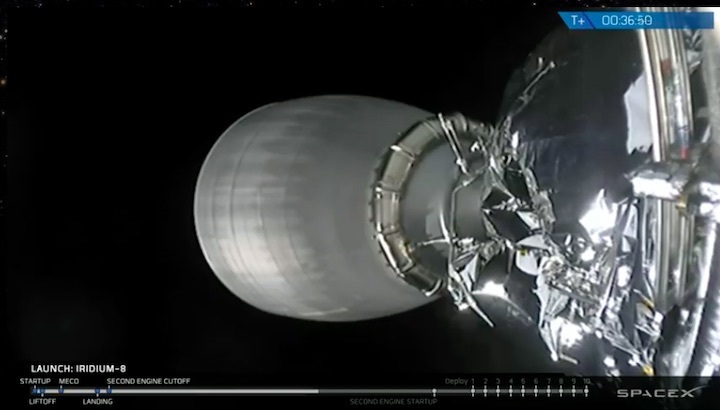 Engineers are deactivating Iridium’s retiring satellites as the new relay stations arrive in orbit. Most of the old satellites have been maneuvered out of orbit to fall back into Earth’s atmosphere, and all will undergo a procedure known as “passivation,” in which their batteries and propellant tanks are drained, rendering them inert and reducing the chance of an explosion in the future. The aircraft tracking service managed by Aireon will also take a big step toward starting operations with Friday’s launch. Aireon says its service, which uses Harris Corp.-built receivers to collect aircraft position data, will ensure air traffic controllers know where airplanes are around the world, reducing blind spots in busy transoceanic routes, improving safety and fuel efficiency. Air traffic authorities in Canada, Ireland, Italy, Denmark and the United Kingdom are part of the Aireon joint venture with Iridium, and air traffic management organizations in Africa, the United States and elsewhere in Europe are also preparing to use the system. 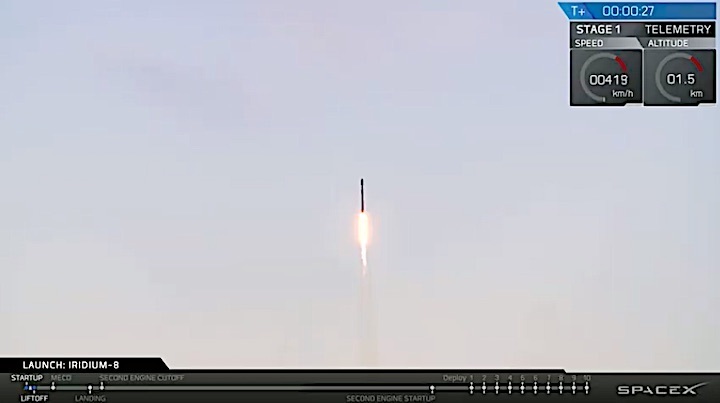 “With the complete Iridium Next constellation, Aireon will have real-time air traffic surveillance data comparable to that of ground systems, but for the entire planet, including over the oceans and remote areas where it has never existed before,” said Don Thoma, Aireon’s CEO. The Aireon system works by gathering position data broadcast by aircraft fitted with ADS-B technology. The Automatic Dependent Surveillance-Broadcast, or ADS-B, technology allows an aircraft to determine its location via satellite navigation, then immediately broadcast the position. That reduces air traffic controllers’ reliance on antiquated tracking radars to follow aircraft movements. But ADS-B receivers on the ground have the same limitations as radars — they do not allow for uninterrupted tracking of airplanes over oceans and other remote regions. When airplanes fly out of radar range, pilots are typically instructed to maintain a certain course and altitude, ensuring 30-to-100 miles (about 50-150 kilometers) of separation between aircraft for safety purposes. With real-time global monitoring, those requirements could be relaxed. The Aireon receivers on each of the Iridium Next satellites are designed to pick up the same ADS-B signals already transmitted by most airplanes. U.S. and European regulators have required all commercial passenger airliners to be equipped with ADS-B technology by 2020. “This was the driving reason behind the creation of Aireon,” Thoma said. “It has been clear for many years that a complete and truly global aircraft surveillance system is a must-have, not only for the efficiency of air traffic management, but for the safety of everyone traveling by plane. “Aireon will support important improvements to safety, including improved controllers situational awareness, reducing … aircraft separation, and eliminating safety gaps due to lack of real-time surveillance,” Thoma said. “It will reduce controller response time to normal situations, such as weather deviations or navigation errors by pilots, and of course, it will improve search-and-rescue response times. According to Thoma, certification of the Aireon system should be complete by March, allowing operational trials using satellite-based ADS-B position data to begin in April in the North Atlantic Ocean for the busy air travel corridor between North America and Europe. Canadian and British air traffic authorities will oversee those trials, while the Federal Aviation Administration is looking at conducting similar operational testing in the Caribbean.